After spending the past year establishing its expertise in IP-based signal distribution with the OmniStream platform, Atlona is taking the next big step: IP-based control. 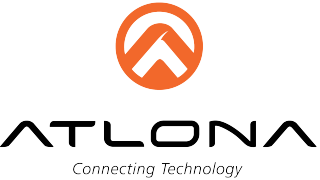 Under development for some 15 months and getting set for demonstrations at ISE, the Velocity Control Suite is a cloud-based platform for controlling, managing, monitoring, and analyzing Atlona and third-party devices in commercial applications. But, Shamir said, Atlona wanted to create a system that would solve problems that other solutions haven’t addressed. After spending time analyzing systems and talking with dealers and integrators, the company found four key attributes to differentiate their system: ease of configuration, the ability to provide usage analytics, the ability to provide remote notifications and alarms, and redundancy. “The biggest pain point for integrators is time,” Shamir said. “It takes a lot of time to do a control system.” One of the main reasons for this, he offered, is programming. “We wanted to build a system that doesn’t need any languages, because everyone gets drag and drop. Everyone understands graphical interfaces and icons. But not everyone understands C language or other computer languages to write code. But, perhaps its biggest time-saving advantage is repeatability: “If you did the same project two weeks ago in some other location, you can copy and paste from one project to another with a click of a mouse, because you can see all the projects from one centralized location,” Shamir said. Overall, Shamir sees the Velocity platform serving as an alternative to the major, established commercial AV control brands, with a “refreshing, different approach” to building and running systems. And one value that it can provide to integrators is a source of recurring revenue. According to Shamir, while the platform is sold as a one-off license, after which you own the system, its added benefits—analytics, notifications, and other services that allow users to know more about their systems—can be tools for generating recurring revenue, as long as the integrator or dealer has the know-how and back office capability to support it. “We allow that platform to be flexible enough to go either way. But we are not limiting or dictating one way or the other,” he said. According to Shamir, Velocity is currently undergoing beta testing in select higher learning institutions, with enterprise client trials to follow soon. It is expected to be released in Q2, most likely by the beginning of April.